Pins bend. Needles break. Both go dull, eventually. What should you do with ruined pins and needles? Throw them away? Certainly not! Tossing them in the garbage isn’t safe—for many reasons. 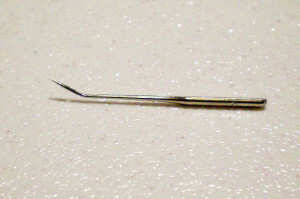 A needle could puncture your garbage bag and end up loose in your trashcan, or on the floor. Pins could fall out of the trashcan when you empty it. Suppose you accidentally drop something into the trashcan (like your seam ripper) and have to go digging for it. 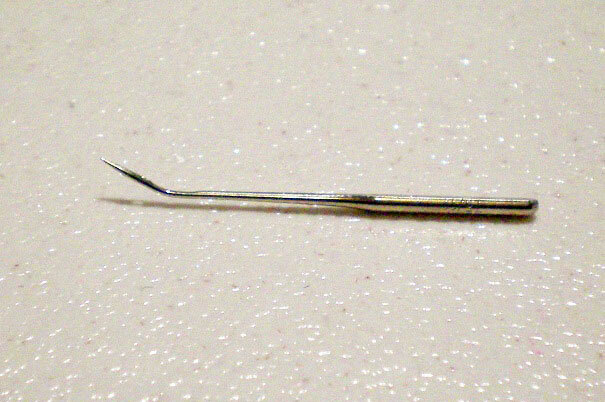 You could get scratched or stabbed by a broken needle. Pins and needles could fall on the ground when the trash is dumped into the back of the garbage truck. This puts animals, barefooted children, and tires at risk. Recycled garbage is often sorted through. If broken pins or needles get mixed in, they could injure whoever is doing the sorting. Someone might step on a broken needle while rummaging through the landfills for discarded treasures. Animals, too, are at risk. Racoons, dogs, and other animals dig through the garbage looking for food. They could easily be injured by broken pins or needles. If you’re reading this, you probably want to be more responsible with how you dispose of your pins and needles. But what can you do to prevent someone from getting hurt? Take a hint from the medical field. Whenever a nurse throws away a used syringe, she tosses it into a sturdy plastic biohazard box. If you happen to be diabetic, you might already have a Sharps container. If not, there’s a quick and easy alternative: an empty prescription bottle. A small prescription bottle is perfect for storing your broken pins and needles. You could use an over-the-counter pill bottle, too. Pick one with a childproof lid, but make sure it’s not so difficult to open that you risk spilling the contents. Another option is the small plastic containers that traditional rolls of film come in, although they might not be tall enough for all types of pins and needles. You can order them online in bulk, from places like Amazon. There’s also travel-sized shampoo bottles. If you don’t want the trouble of rinsing one out, you can order clear, empty bottles online, or find them in drugstores, near the travel-sized toiletries. With any option, make sure the plastic is thick enough that it won’t be punctured by sharp needles. Also be sure it’s of good enough quality that the plastic won’t shatter or crack as it ages. One important detail to keep in mind is that film containers and shampoo bottles aren’t childproof. If you have kids in your home, use a prescription bottle instead, to reduce the chances of a curious child getting hurt. 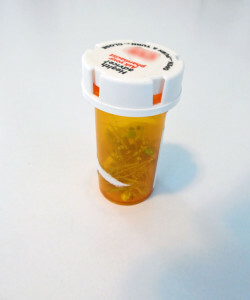 If you want to recycle a prescription bottle, or over-the-counter pill bottle, it’s easy to ready it for use. Rinse the bottle out to get rid of any medication residue. That’s all there is to it! 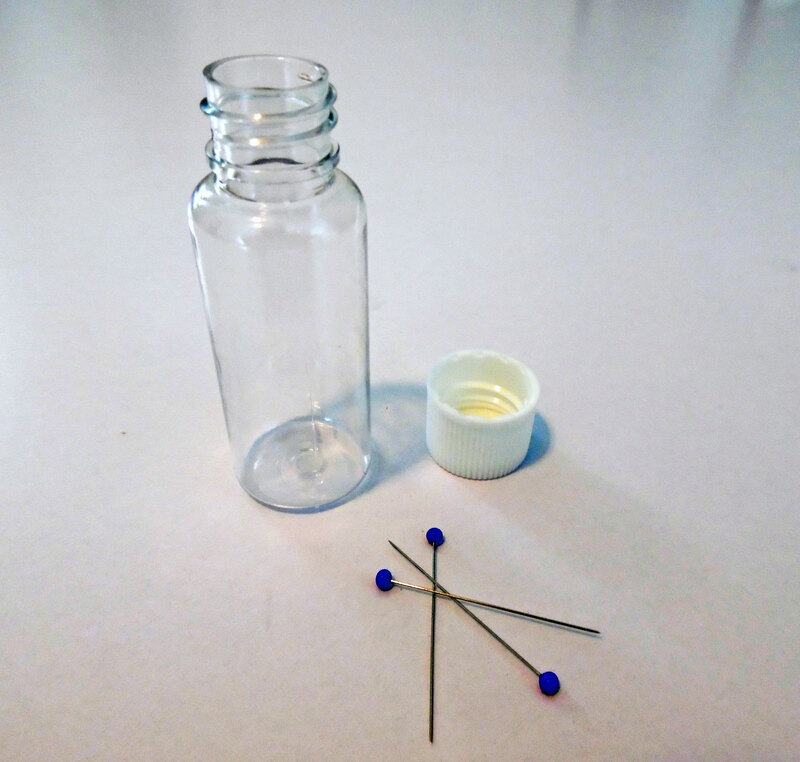 Keep the container in your sewing room and use it whenever you need to discard a pin or needle. Once it’s full, make sure the lid is securely fastened, then throw it away. Looking for more sewing advice? Check the Sewing Basics menu for a list of articles. This entry was posted in Tuesday's Tips & Tricks and tagged Basics, Tips, Tuesday, Tutorials. Bookmark the permalink.